When it comes to Easter dinner, most families have their favorites. This may include mashed potatoes, rolls and baked ham. Why not shake things up this year by adding something new? Here are 10+ recipes for Easter Dinner. These Easter recipes are delicious! 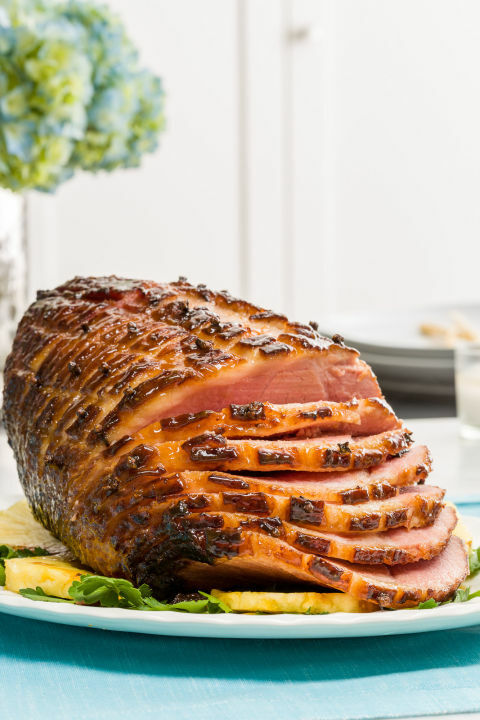 Instead of your regular glaze, try coating your ham with a tasty mixture of Dr. Pepper and pineapple juice. You’ll wonder why this is the first time you’ve tried it. Consider decorating for the big day with flowers from Blooms by the Box. This online flower shop will send you fresh flowers for your Easter celebration. 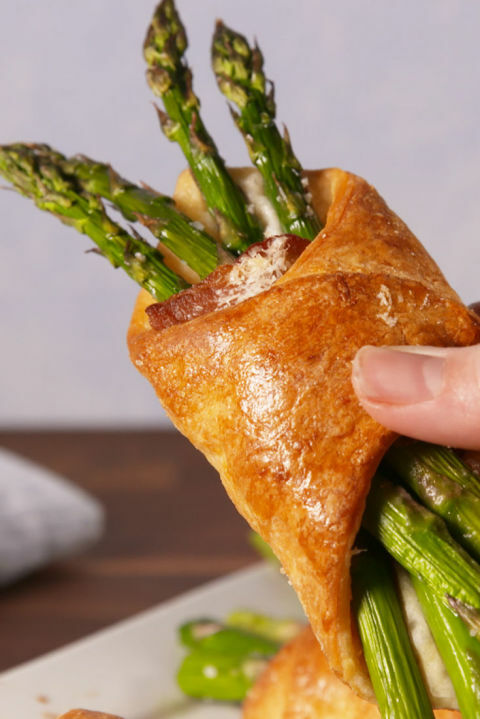 Wrap asparagus in bacon, and then, wrap refrigerated crescent rolls around the combo, creating a tasty side dish for Easter dinner. Your guests are sure to appreciate this unique addition to your traditional spread. 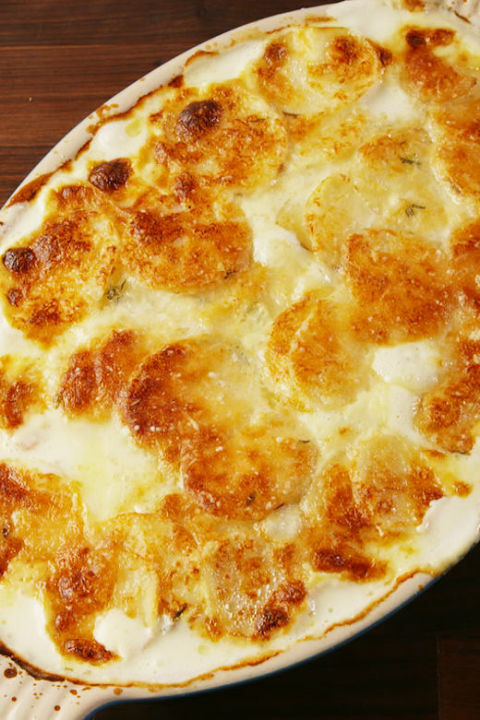 If au gratin potatoes have a place on your Easter dinner table, then consider replacing your recipe with this garlic parmesan one. The tastiness of the garlic combined with the tang of the cheese is a delicious combination, one that will bring a fresh flavor to this year’s holiday dinner. When it comes to Easter recipes, there are countless ones for potatoes. 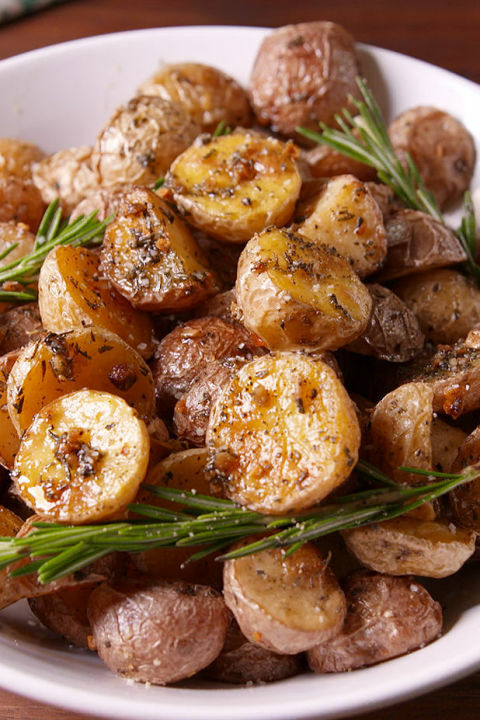 Rosemary enhances the flavor of roasted potatoes, so including them on your dinner table this year is sure to be a crowd pleaser. If you decide to serve a traditional ham for Easter dinner, why not pair it with glazed coriander-maple carrots? The flavor combination is unique and memorable. We know that quiche is a popular breakfast and brunch dish, but a deep-dish leek and bacon one is just right for Easter dinner. The crust is perfectly flaky while the ingredient combination is divine. For dessert, serve an orange-chamomile cake. The citrus gives this cake a fresh flavor, one that provides the perfect dinner finale. Serve it with ice cream, tea or coffee. Instead of ham as your main meat dish, consider making a flattened chicken with a parsley-lemon sauce and grilled romaine. As the weather becomes warmer, you may want to serve lighter meals. When it comes to Easter recipes, this one is perfect for spring. 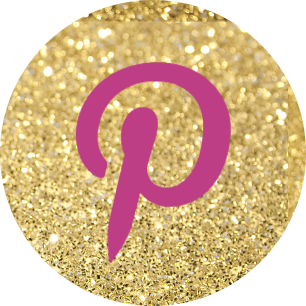 To enjoy unique and fresh spices, join Piquant Post, which is a site that sends an assortment of spices monthly. Spiced salmon is another tasty meat to serve in place of ham. The brown sugar in the recipe makes the salmon a little sweet while the other seasonings balance the flavor perfectly. Take an entirely different direction this year for Easter dinner and serve a pastitsio. This Greek dish is rich and filling, one that’s sure to make your dinner guests happy. In our book, Easter dinner recipes include lemon-garlic chicken cooked Greek style. This tasty dish can be your only meat, or it makes a nice complement to a traditional ham and deviled eggs. When combined, mushrooms and leeks make a savory pie. If you decide to add this dish to your holiday table, your guests are sure to be delighted. Use your favorite mushrooms whether they are oyster, Portobello or chanterelle. Easter dinner recipe ideas came from Delish. We also found a few at Country Living and Taste of Home..